[0:01] <gordonDrogon> the block size in dd really has no significance here. [0:01] <majorshake> gordonDrogon: I know it shouldn't, but it's the only variable that I changed. [0:02] <gordonDrogon> riscos is somewhat old now. [0:02] <majorshake> I think we had Acorn PC's at my school. [0:02] <gordonDrogon> it has a small following though. I had an Acorn Arc waaaayyy back with it on, but as soon as I could have a personal unix box I dumped it. [0:04] <JakeSays> my school had commodore pets, trs80 model 1's, apple 2's and an hp 2000. [0:09] <majorshake> anybody had any issues with the wifi on the pi3 slowing to a crawl? [0:10] <majorshake> oq: powersave in the wireless hardware or? [0:11] <JakeSays> i'm sitting here wondering why my pi doesnt have a dhcp address.. i'm thinking it may have something to do with the empty hole where the ethernet cable should go. [0:11] <majorshake> would it have the same effect? [0:14] <oq> majorshake: also been using rpi-update? [0:25] <majorshake> I hate foreign keyboards. [0:29] <majorshake> try scandinavian. curly braces are on the number keys. 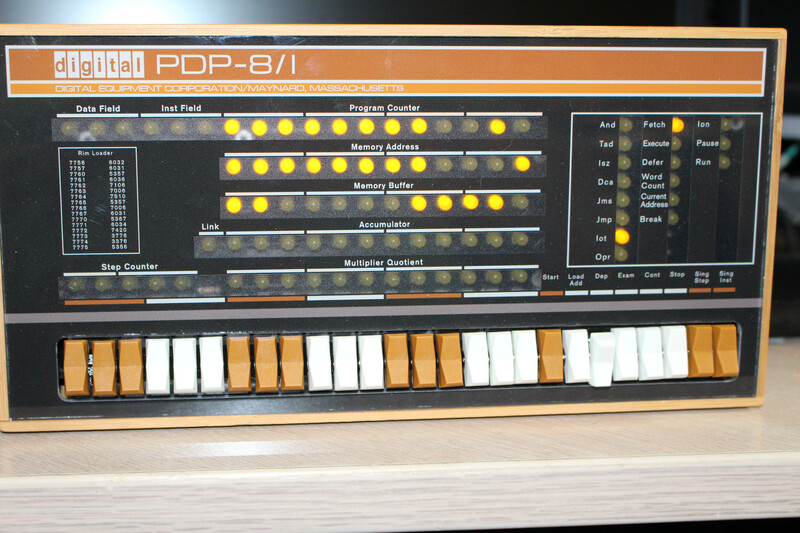 [0:30] <majorshake> I have a Norwegian and a Polish keyboard for my pis. [0:30] <majorshake> Polish is much easier. [0:35] <JakeSays> besides changing /etc/ssh/sshd_config to allow root login, what else needs to be done? [5:10] <JK-47> Why not may a bay for multiple? [5:27] <Valduare> look into openhab? [5:30] <JakeSays> hmm. so the pi3 has a cortex-a53 based soc, right? [5:33] <wil_syd2> 32bit Rasbian reports it as a armv7l. [5:34] <JakeSays> yeah the os wouldnt report the core model - just the arch. [5:35] <Valduare> any cool ideas for this pi0 sitting here on my desk? [5:38] <kromag> how much did they say? [5:43] <Valduare> any news on pi3 full usb booting? [5:44] <wil_syd2> <Valduare>any news on pi3 full usb booting? [5:45] <wil_syd2> I'm waiting on that also. [5:46] <TheJackofClubs> could you have something on sd that points to usb or pxe? [7:23] <Ascavasaion> TheJackofClubs: Gnome 2 was nice... Unity is just awful. [7:26] <Ascavasaion> The same as I get the Windows 8/10 look, but I still do not like it. [8:33] <Drzacek> I was wondering, is it possible to run Wine on Rpi? I know it is a different architecture, but maybe there is a way? [8:41] <Drzacek> hypermist, you got your LCD working? [8:42] <Drzacek> What did you ordered? [8:44] <Drzacek> you thought about how you gonna do your controls? reverse-engineer some usb game pad, GPIO? [8:48] <Drzacek> Did own project in eagle or something, then etchted them yourself, or is there some open project? [9:48] <Drzacek> As I thought, only 8 buttons - 4 directional, 4 action? [11:06] <wire11> What would be your recommendations for VNCing into a Pi that's hooked up to a TV? [11:13] <oq> what, why would they specifically target the pi? [11:16] <wire11> Did you purchase realVNC Goldschlager? [11:31] <Lartza> Isn't realvnc paid? [11:33] <Goldschlager> i know i start it with just vncserver and I didn't have to pay for it. [11:38] <Goldschlager> do they all start them with vncserver? [12:21] <Apicalis> Does anybody know a NAS System that's basically just a USB3.0 <-> Ethernet adapter but shows up in your local network as a accessable file system? [12:22] <bekks> Apicalis: Then you need to get a full blown NAS. [12:23] <bekks> Or some old router with a USB connector, and use that as network device then. [12:26] <bekks> Thats what you get when not using a NAS. [12:31] <bekks> Apicalis: Thats why you need NAS or a computer. [12:35] <bekks> Does the Pine64 has USB3? [12:37] <bekks> Then you can use your old fritzbox as well. [12:53] <bekks> Thats correct so far. [13:10] <Drzacek> Well, transfering huge files would be pain even with 20mb/s, but is 6mb fast enough for media streaming (videos)? [13:43] <bekks> mgottschlag: Which kind of modding? [13:47] <bekks> mgottschlag: ah ok.
[14:09] <Drzacek> "Hey look, I use apple, I am better"
[14:17] <Drzacek> Can you connect to non-apple wifi routers/APs? [14:20] <Bilby> what are you talking about? [14:44] <Berg> dont you like pi? [14:47] <Drzacek> I'm not a troll, don't ignore me! [14:51] <Chunkyz> how can I diagnose why my vpn isn't working? [15:00] <Drzacek> Chunkyz, what VPN do you use? [15:02] <Chunkyz> tommy``, please, don't. [15:02] <Chunkyz> Drzacek, do you mean server? [15:02] <tommy``> i don't made on purpose. [15:05] <Drzacek> Chunkyz, well, yeah. There are many different vpns. [15:06] <Drzacek> Chunkyz, so it's some kind of commercial solution. So you register there, pay them, get some access information like login and pass, probably serwer ip/domain? [15:09] <tommy``> how much for a monitor like that? [15:56] <oq> anyone after a pi zero? [16:03] <tommy``> 49€ for a pi3 it's normal? [16:04] <tommy``> 44 shipping inclused? [16:08] <oq> Roonix: is that post-tax? [16:11] <ascheel> ER_nesto: I'm here. [16:12] <ER_nesto> I guess I can try the other soundcard now current and that are edited? [16:12] <ascheel> Perhaps. Which sound card are you trying to use? [16:13] <ascheel> ER_nesto: got a link? Buy them from Amazon and look at the reviews and user questions for ones that function with the Pi. [16:14] <ascheel> Throw me a link, please. [16:14] <Roonix> what type of sound card is it? [16:14] <oq> those usb ones? [16:16] <ER_nesto> Roonix: Which, and where? [16:17] <oq> ER_nesto: will that cable let you power it through the usb otg port + something else on the usb? [16:17] <ER_nesto> oq: What do you mean? [16:18] <oq> oh, lame "Important: OTG & Charging function can't be used at the same time. You can choose only one of the 2 functions when using this cable"
[16:21] <ER_nesto> It's how I have my internet connected to the zero right now! [16:23] <ER_nesto> I want my sodding sound to work! [16:42] <oq> wait till you have moneys? [16:47] <Beanzilla> MadMan2021: Greetings and Salutations. Be Well. [16:59] <oq> ah so is that like a chromecast? [17:33] <FluVirus> You guys think a pi would work in small pelican case outside in 90-100 degrees f? [17:34] <oq> can you translate that to celcius please? [17:36] <oq> probably? Wouldn't the pi just throttle itself if it gets too hot? [17:39] <FluVirus> What temp does yours reboot? [17:41] <devslash> i have to remove network manager right ? [17:42] <devslash> i need to install 165MB of packages just to get wifi working ? [17:44] <curlyears> devslash: it's the price you pay for ubiiquity, which is what males free software economically feaible. [17:45] <curlyears> think how nightmarish it would be is everyne had to downlad a different package to implement WiFi. Just finding the right package would be a drag, and it's not as likely to be offered freely, ince the potential "market" for it is so limited. [17:46] <devslash> oq and then what did you do ? [17:47] <devslash> how do you figure that ? [17:47] <curlyears> devslash: how do you figure "not really?" [17:48] <curlyears> by placing a system "on the air" it makes it much more accessible to potential hackers. [17:49] <oq> devslash: and where exactly do they find the mac to spoof? [17:52] <curlyears> why else do you think it is necessary to configure the MAC when setting up ethernet networking conenctions? [17:53] <yene> guys dont fight, peace among worlds! [17:56] <curlyears> a JOKE? ON #raspberrypi!!!???????? [17:59] <DrunkenDwarf> hi all. reading https://blog.frankzhao.com.au/2014/03/ad-hoc-ethernet-with-raspberry-pi/ trying to get an ad-hoc connection over ethernet to my pis. .. will adding an ip to /boot/cmdline.txt allow all computers connecting via ethernet ssh/vnc into the Pi? Also, will it intefere at all with the wifi connection of wither the pi or connecting computer? [18:06] <DrunkenDwarf> curlyears: its my understanding from the page that adding that will alloow a laptop to connect to a pi via ethernet and ssh/vnc over the connection ad-hoc .... would that effect in anyway the existing wifi connection of the pi? for example, would it be trying to secure that ip from the wifi provider? [18:13] <DrunkenDwarf> reading here: https://pihw.wordpress.com/guides/direct-network-connection/in-a-nut-shell-direct-network-connection/ suggests at the bottom that if you add an ip to the end of /boot/cmdline.txt and do not connect a network cable at boot, itll wait 2 minuted before booting properly. is this right? [18:21] <wire11> devslash ▸ did you get an IP? [18:26] <wire11> does it get networks? [18:27] <pcmerc> but does it find networks? [18:29] <devslash> does that conf only need a network block? [18:43] <pcmerc> what was it? [18:52] <devslash> do you guys use redis ? [19:06] <zhodge> is there a way to get changes to /etc/resolv.conf to persist through reboot? [19:07] <wire11> zhodge ▸ set immutable flags? [19:08] <zhodge> okay, is the user that sets the immutable flag the only one that can unset? [19:09] <pwillard> if /etc/resolv.conf does not persist... you have a real issue. [19:10] <pksato> zhodge: need to set on networkm manager in use. [19:11] <pwillard> are you changing networks? [19:12] <zhodge> pwillard: I'm hard wired to ethernet and I haven't selected a wireless network so my guess is no? [19:12] <pksato> zhodge: have resolvconf tool installed? [19:18] <zhodge> okay so is it recommended to uninstall dhcpcd5 then so I can adjust /etc/network/interfaces? [19:19] <pksato> dns send by dhcpd is not usable? [19:20] <zhodge> for that I should be editing /etc/dhcpd.conf? [19:28] <zhodge> is it absolutely necessary to uninstall dhcpcd5 first? [19:29] <pcmerc> what is the problem? [19:33] <zhodge> the location of those config lines isn't important I take it? [19:34] <bekks> zhodge: The order of lines is important. [19:35] <zhodge> alright, and if the order is important do I just need to add the dns-nameservers after iface eth0? [19:38] <zhodge> do I need to use ifconfig to apply these changes? [19:39] <pcmerc> in what sense? [19:39] <kromag> ipconfig on Pi? [19:40] <kromag> [13:38:43] <zhodge> do I need to use ifconfig to apply these changes? [20:05] <pcmerc> still gets it from dhcp? [20:06] <pcmerc> but its getting your DHCP dns right? [20:07] <pcmerc> what shows up in /etc/resolv.conf? [20:11] <kromag> H4ndy, I received my PiDrive 2 weeks ago. [20:12] <H4ndy> can I borrow your friend? [20:13] <H4ndy> can I borrow his bank account? [20:17] <kromag> H4ndy how does that drive fair... does it have heating issues at all? [20:26] <zhodge> pcmerc: what exactly should I be changing in dhclient.conf ? [20:27] <zhodge> swap the request line for the one you posted? [20:29] <zhodge> thanks a lot! [21:01] <ER_nesto> How do I audio? [21:29] <up2late> doesnt that just open a new tty? [21:32] <JakeSays> hey i need some bash fu here - i need to rename all foo_* to bar_* in a tree. any suggestions? [21:36] <kablaaam> so I just managed to snag a pi zero but I’m having trouble finding information about what display screen would go well with it. Is it true that the resistive 2.4 and 2.8 pitft screens would work just fine? [21:38] <JakeSays> where would you find a used one? [21:39] <JakeSays> are they much cheaper? [21:40] <oq> wont a pitft be a bit oversized for a 0? [21:50] <pksato> old Dot matrix printer. [21:59] <bpye> Has anyone managed to get the SD interface on the GPIO to mount an SD card? [22:07] <GreeningGalaxy> bpye� I've heard you can write to SD cards through SPI, actually. my prof says that's a thing with the SD standard. [23:36] <streulma> I got Wine running on the Raspberry Pi !!! [23:37] <Roonix> is it easy or hard to do? [23:38] <Roonix> does wine allow any exe to run or is it just certain ones? [23:39] <oq> streulma: wont that cause a short circuit? [23:39] <streulma> it allows all ! [23:41] <lopta> Hands up if you remember the Acorn RiscPC! [23:45] <lopta> faugusztin: Intercompex Hobbit? [23:45] <lopta> I did quite a bit of work on 088,086 and 186 machines. [23:46] <lopta> Great British computers. [23:47] <ali1234> is there a raspbian sid? [23:48] <lopta> I've seen pictures of those! [23:48] <lopta> Nice keyboard from the looks of it. 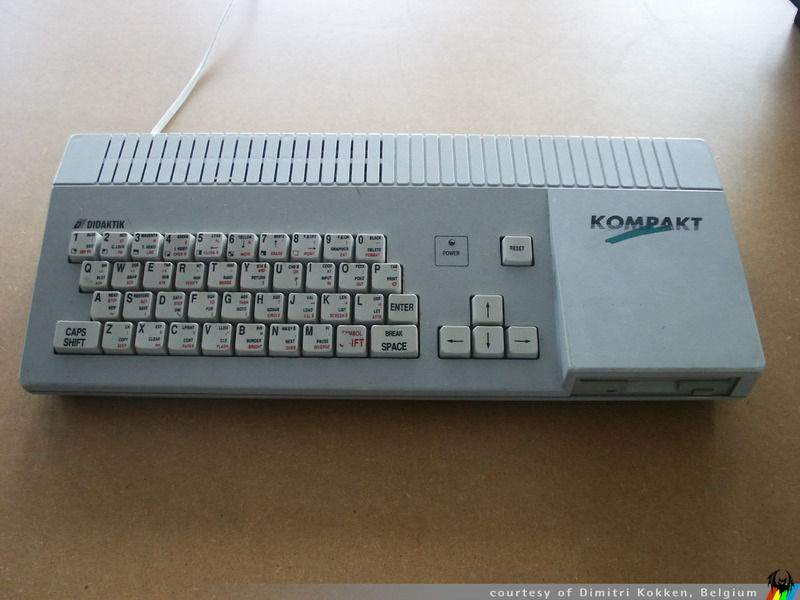 [23:49] <lopta> I'd love a Didaktik M.
[23:51] <lopta> faugusztin: Did your Gamma have a floppy port? [23:53] <lopta> Oh! I have to go. [23:54] <lopta> faugusztin: Lovely chatting with you! [23:54] <bpye> BurtyB: Hm strange, what do you have in your config.txt to get that working? [23:58] <BurtyB> bpye, you probably want "dtoverlay=sdio,poll_once=no" if that's in the correct format these days?